Tiny seed motifs, all in a row. All pieces are made from stainless steel and finished in a variety of colors. 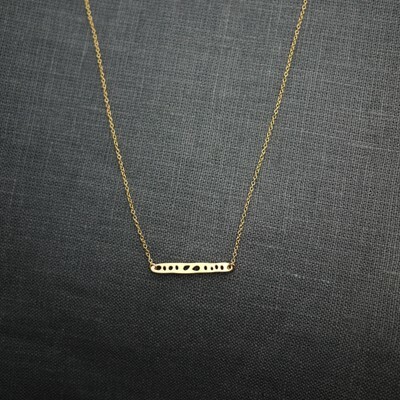 In addition to untreated steel, this piece is offered in 14k yellow and rose gold plate. Size: Focal is 1" long. Necklace is 16" long. Steel has sterling silver components. Gold and rose gold have goldfill components.